Ask a Hospice employee about dying, and you’d be hard-pressed not to find comfort. It’s not that they belittle or euphemize; in fact it’s their thoughtful frankness that brings solace. 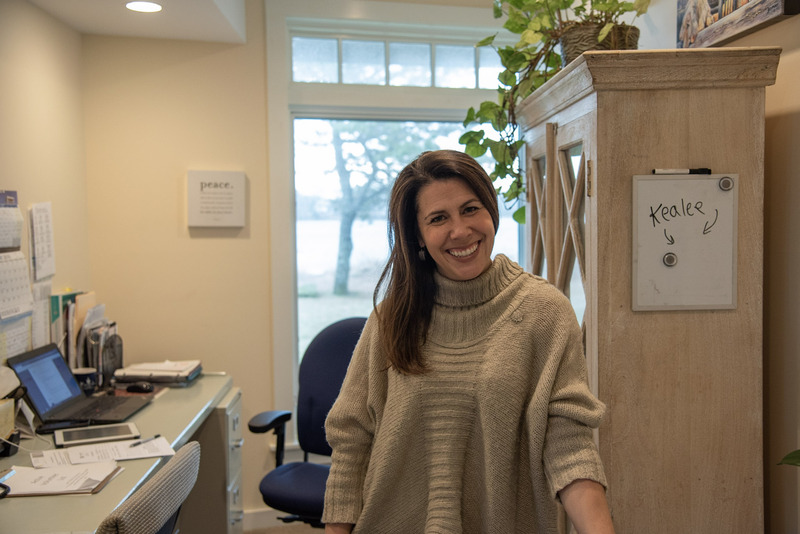 Hospice of Martha’s Vineyard clinical director Chantale Patterson’s voice was full of kindness when she talked about her work on a recent afternoon in Vineyard Haven. She said most people don’t know what it looks like when someone is dying, and part of her role is to prepare families and patients and help them understand what can happen in the end: loss of consciousness, withdrawing into oneself, labored breathing, agitation. Founded in 1981, Hospice of Martha’s Vineyard provides patient visits at home with whatever level of regularity needed. Six staff nurses provide palliative and medical care and serve as liaisons with other medical providers. Hospice also provides spiritual and emotional support and guidance to those who are dying and to their families. Family members can continue to access grief services for up to thirteen months after a loved one has died. Debbie Phillips of West Tisbury lost her husband, Rob Berkley, in December. Rob was a healthy, vibrant 59-year-old man who held onto his tenacity as his health declined, she said. 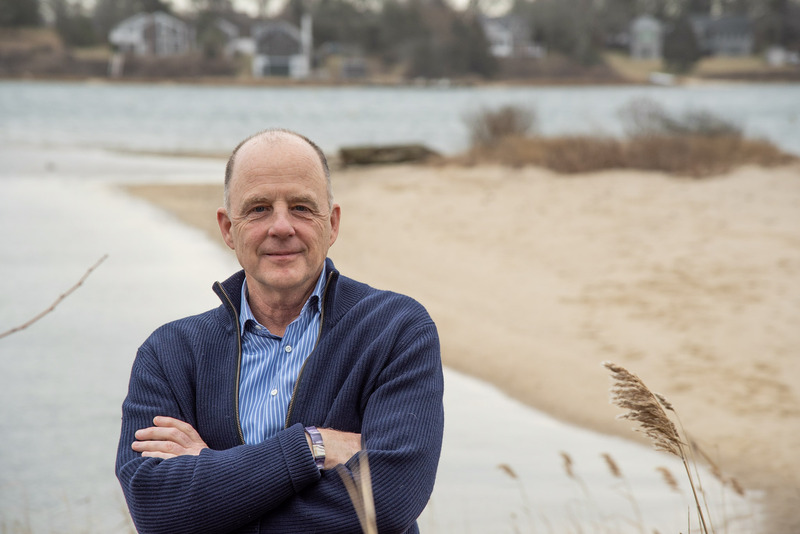 At first, the couple believed there was a chance Rob could overcome the cancer with aggressive chemotherapy, but when a surgery in Boston revealed more cancer, they returned to the Island and contacted Hospice of Martha’s Vineyard. Chantale visited Debbie and Rob regularly from June to December to offer medical support. Hospice also coordinated and communicated with Rob’s caregivers at the hospital, and Debbie and Rob both received grief counseling. Sitting at her kitchen counter with Rob’s final project, a book of bird photography, Debbie remembered a moment with Chantale a week before her husband’s death. Chantale took Rob’s hand. He had already lived longer than any doctors thought he would. 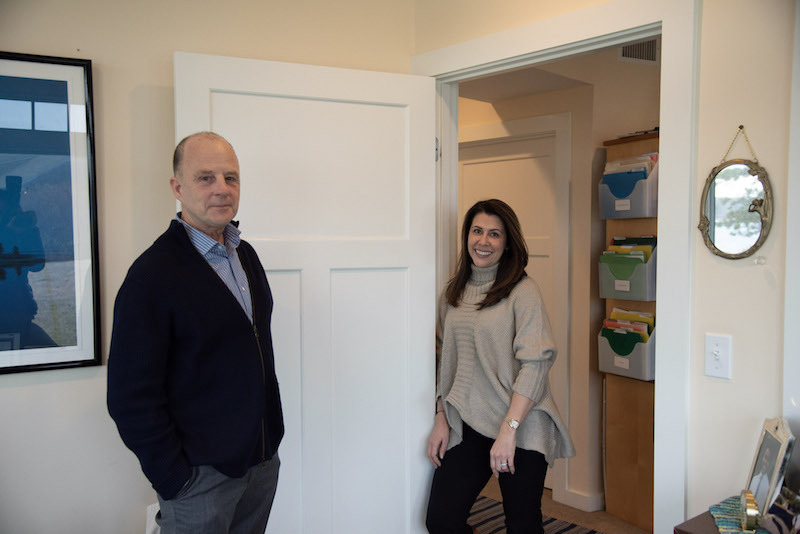 Hospice of Martha’s Vineyard executive director Thomas Hallahan said the organization has a profound role in the Island community, helping a growing number of Islanders as they do the work of dying, and supporting families as they prepare to let them go. “You’re invited into people’s homes at an extremely intimate time of their life, and with the goal of bringing quality to their days,” Chantale said. Twice a month, the staff of Hospice of Martha’s Vineyard gather for a team meeting. But before they get down to the logistics of patient care, they light a candle. One member of the staff reads a poem or prayer of her choice. Then they name and talk about the patients they have recently lost: when and how the person died, how the family is coping, what more is needed for those left behind. The chaplain, Rabbi Lori Shaller, gives a brief talk about the person’s life and their spirit, and the staff honors their memory with a moment of silence before the candle is extinguished. Thomas said many of the people Hospice of Martha’s Vineyard nurses and volunteers care for are already friends and acquaintances. This regular ritual is a moment when staff can say goodbye together. Hospice of Martha’s Vineyard is the only Hospice provider on the Island—and one of just a few across the country—that does not charge for any services and is not paid for through Medicare. 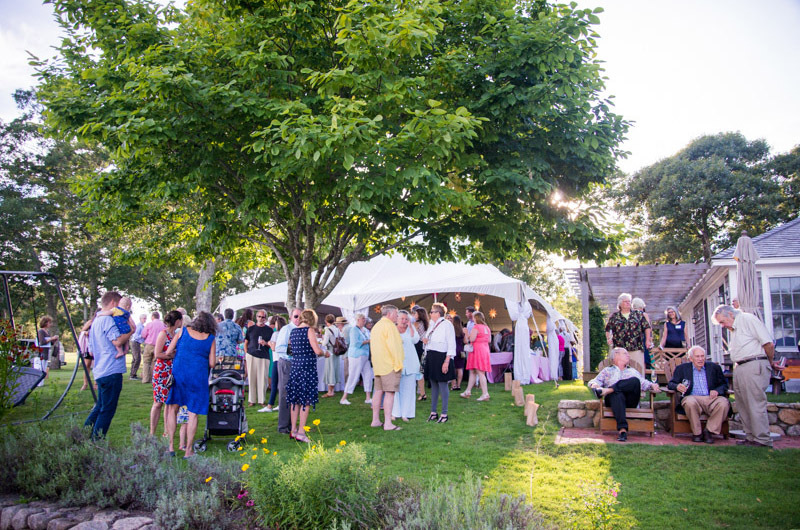 A $2.5 million endowment from the late Washington Post publisher Katharine Graham helps to make that model possible, along with annual fundraising events like Handmade from the Heart and the Reflections of Peace Christmas Concert at the Old Whaling Church in Edgartown (see “Hearts for Hospice” at right). The rest of the organization’s $700,000 in annual operating expenses are covered by grants and private donations. The Hospice of Martha’s Vineyard model gives patients and families the freedom to make their own choices about care without worrying about what is covered by insurance during what is already a difficult and chaotic time. For example, patients with a terminal diagnosis who are expected to live longer than six months can still access services, and so can patients who are trying experimental treatments. Thomas said with a growing population of elders on the Island, the organization has seen a significant uptick in demand in the last two years, and they are now regularly serving more than thirty patients at any given time. With that growth, the organization is looking for more space and another full time nurse. Thomas said they plan to launch a capital campaign this year to grow to a size that can sustain the incoming patient numbers. “We need to raise up to $10 million to help grow our endowment, with a couple million dollars from that going towards the purchase and development of a new space,” he said. The existing condominium, located in the Tisbury Marketplace, has one meeting room, one private counseling room, a nurse’s station, a small reception area, and Thomas’s office space. With six nurses, a chaplain, a psychologist and two licensed independent social workers, and patients, volunteers and families passing through, things are often cramped. “We need two to two and a half times the space we have now,” Thomas said, adding that more room is needed for private calls, places to grieve privately, and for more bereavement counseling sessions, among other things. “We know the numbers are going to continue to increase,” he said. Reflecting on her experience with her husband’s death, Debbie Phillips repeated words of gratitude for the organization again and again. She said Rob, an executive coach and writer with a passion for the outdoors, did not expect to die at 59. Debbie, herself a successful life coach and mentor, was also taken by surprise. Used to empowering and guiding others, she found herself suddenly on the receiving end when she called Hospice of Martha’s Vineyard. She remembered one moment when she visited the Hospice of Martha’s Vineyard offices and was given a giant holiday poinsettia. Holly Pretsky is a reporter for the Vineyard Gazette. Hospice of Martha’s Vineyard depends on private donors and annual fundraisers to cover annual operating expenses. If you would like to learn how to donate to Hospice of Martha’s Vineyard, visit hospiceofmv.org/donations or call 508-693-0189. Or participate in one of the fundraising events Hospice will hold in 2019.